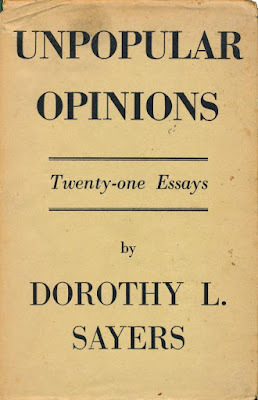 .... A man once asked me—it is true that it was at the end of a very good dinner, and the compliment conveyed may have been due to that circumstance—how I managed in my books to write such natural conversation between men when they were by themselves. Was I, by any chance, a member of a large, mixed family with a lot of male friends? I replied that, on the contrary, I was an only child and had practically never seen or spoken to any men of my own age till I was about twenty-five. "Well," said the man, "I shouldn't have expected a woman [meaning me] to have been able to make it so convincing." I replied that I had coped with this difficult problem by making my men talk, as far as possible, like ordinary human beings. This aspect of the matter seemed to surprise the other speaker; he said no more, but took it away to chew it over. One of these days it may quite likely occur to him that women, as well as men, when left to themselves, talk very much like human beings also. 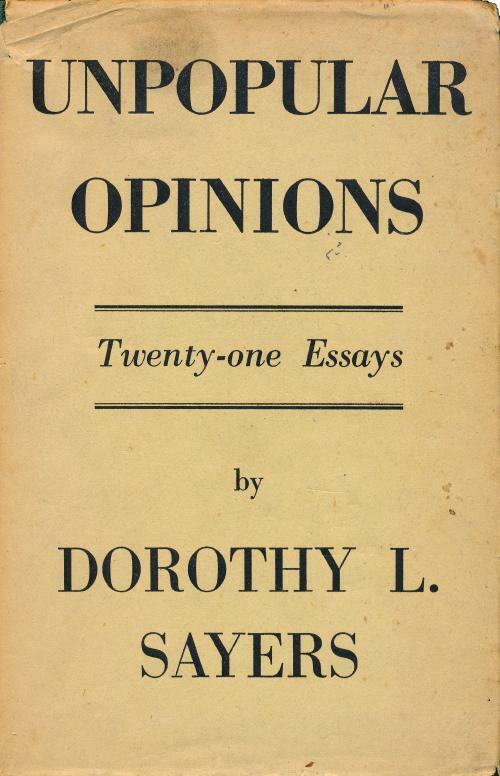 Dorothy L. Sayers, Unpopular Opinions, Victor Gollancz, 1946.